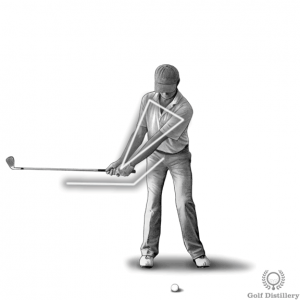 This section was designed to give golfers illustrated swing tips on how to correctly execute a typical golf swing, to present the textbook version, essentially. 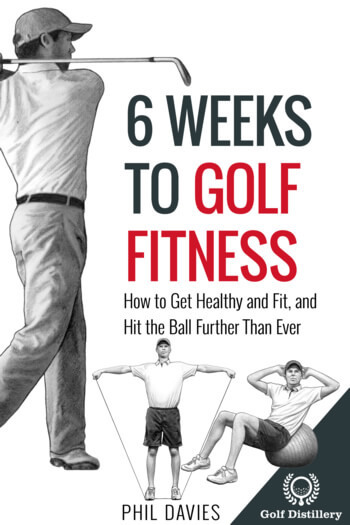 It also provides information on how golfers can deviate from that standard and instead veer towards golf swing errors. 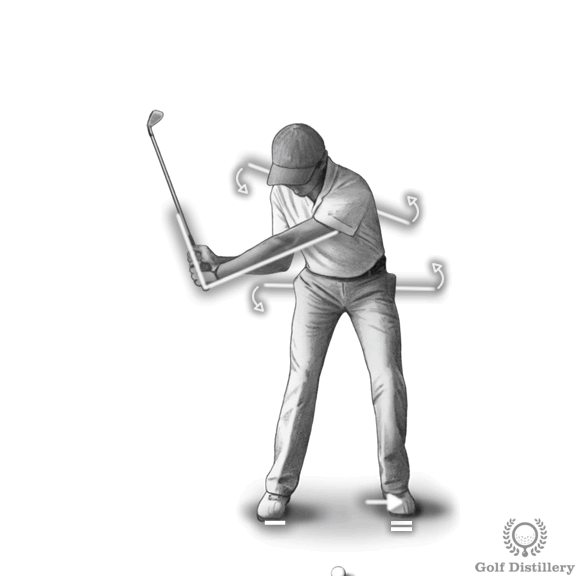 The information is broken down into the components that make up a golf swing and comparative illustrations are used in order to quickly highlight key differences. 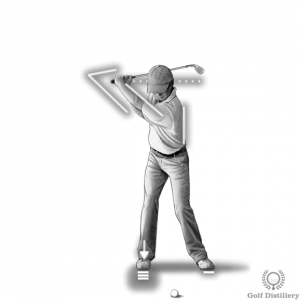 The address and setup stage of the golf swing involves assuming the correct position before the swing actually starts. There are many elements to consider and overlooking key areas at the start will snowball into issues down the line. 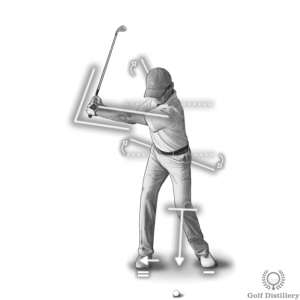 Among other things, the club should rest flat behind the ball. 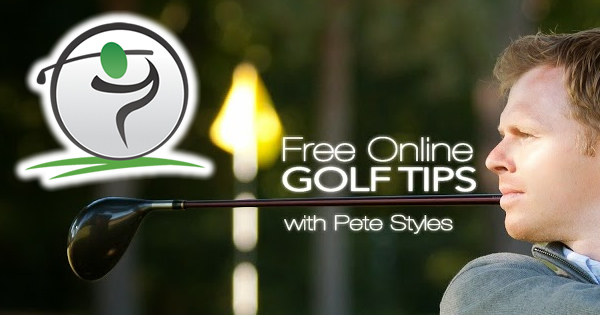 It should be held by the golfer with hands flowing straight down from the shoulders. 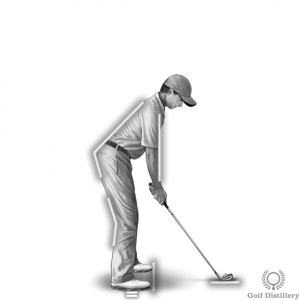 The knees should be comfortably bent and the upper body tilted forward and straight. The right hand being lower than the left will put the shoulders on an upward slope. The weight is evenly divided between the two feet and rests mostly on the ball of the feet. 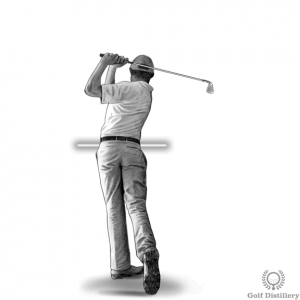 Finally, the shaft of the club is angled forward slightly, the clubface is perpendicular to the target and the feet are parallel to the target line. The takeaway begins as soon as the club starts moving back and ends when the shaft of the club is parallel to the ground. 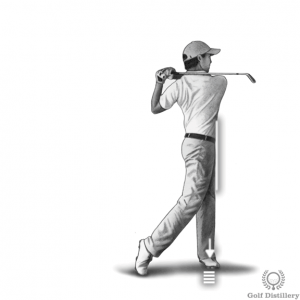 During that short period of time, several critical moves must happen in order to put the swing on a good track. 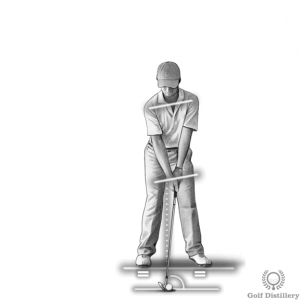 Indeed, the club should be taken back square so that the shaft points at the target when it is parallel to the ground. At the same time, the clubface should point down slightly and wrists shouldn’t be allowed to hinge this early in the swing. The backswing begins just as the takeaway ends. It will end itself when the top of the swing is reached. While getting there, several aspects need careful attention. The left arm should remain straight and the left heel should remain on the ground unless flexibility demands otherwise. 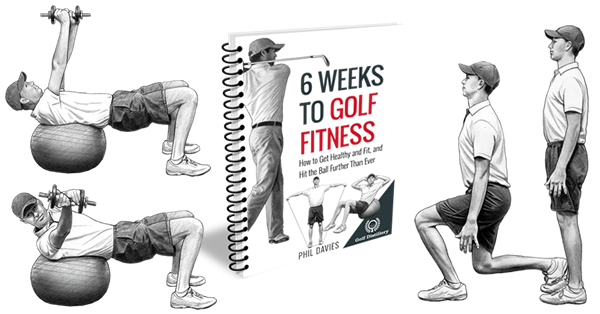 The right knee should retain its flex and the left knee should point towards the ball. Hips rotate but they do so without sliding back. While the head stays in the box, the weight still flows towards the right foot. This whole process should proceed at a pace that is slower than that of the downswing in order to protect a solid strike at the ball. The top of the swing corresponds to the halfway point between the address position and the moment of impact. 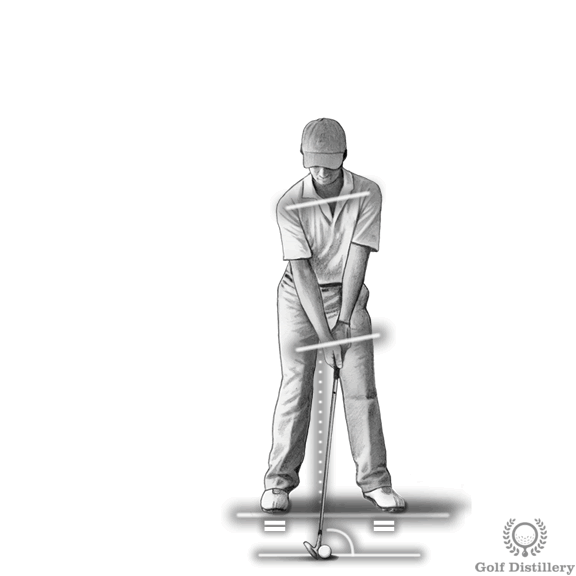 It represents the position when your hands are highest and the transition point between the backswing and the downswing. The left wrist should be flat at the top and your spine angle should still resemble the one set at address. 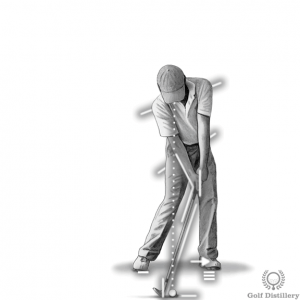 The shaft of the club should point towards the target and it should be just shy of parallel to the ground. Your back should face the target and your wrists should be fully hinged. 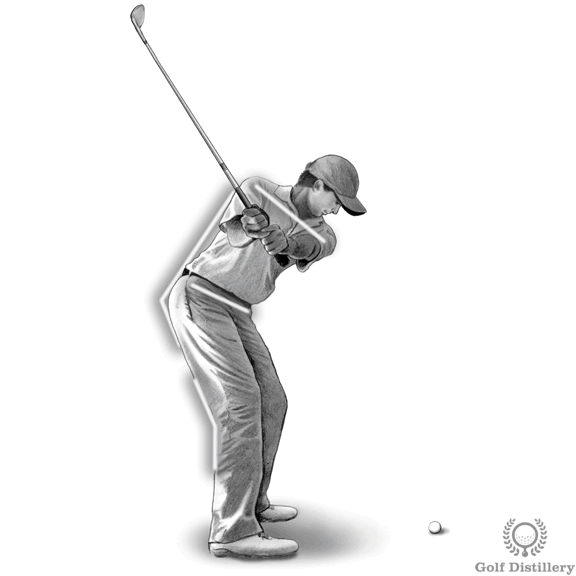 The downswing corresponds to the stage immediately following the top of the swing, as the hands and club are brought down towards the impact with the ball. Your hips should move first by starting to uncoil but they should do so without sliding forward much. They should allow for the smooth weight transition towards the front left foot as your shoulders uncoil in tandem. The hinge in your wrists are kept for as long as possible and your clubhead should follow a path that allows it to be square with the target at impact, the next stage. This whole process should be executed at a noticeably faster pace than the one used to bring the club up. The moment of impact is the only point in time where your body – through the golf club – will actually come in contact with the ball or exert any influence on it. Despite the long journey that precedes it, there are still key elements to focus on in order to promote a pure strike at the ball in what should be a straight shot. Hands should be ahead of the ball at impact. Your left knee should have retained some amount of flex and your spine forward bend should closely match the one set at address still. Your eyes should be trained on the ball and your hips and hands should be facing the target, or well on their way. 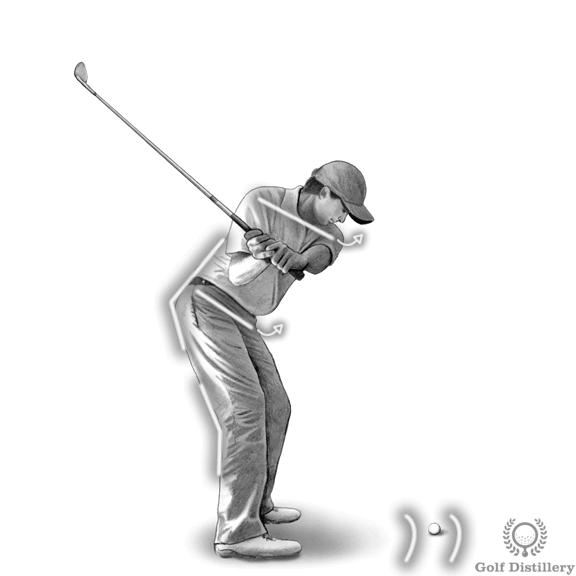 An impact made with an iron should be made on a downward motion while one made with a wood should be made after the club has reached the lowest point of the swing arc, as the clubhead is rising. 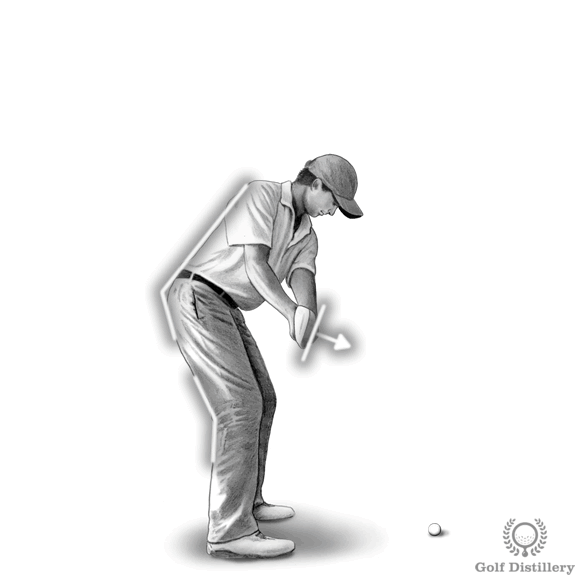 Despite taking place after contact with the ball has already been made the way your body is positioned during the follow through will be indicative of the events that preceded it. 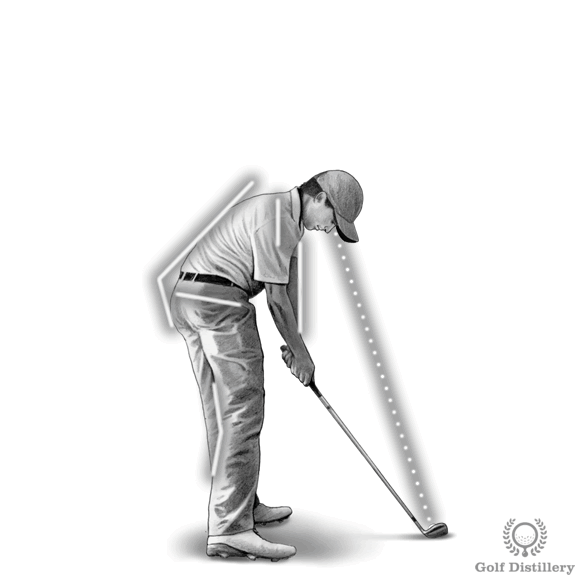 And focusing on reaching a desirable follow through position will help you perform the previous swing stages correctly. Among other things, your hands should release naturally after the wrists are allowed to unhinge. Your hands and clubhead should circle back around your body as your body weight is moved towards the left foot. 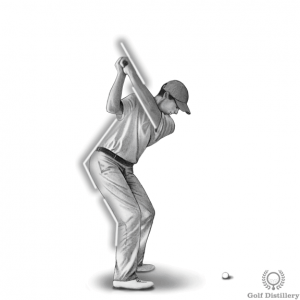 Finally, your hips should be facing the target and you should resist the urge to quit swinging after the club has hit the ball. Instead a full follow through, proud and high is sought.